The Georgia Psychiatric Physicians Association is a district branch of the APA, and Georgia’s foremost membership association for psychiatrists. 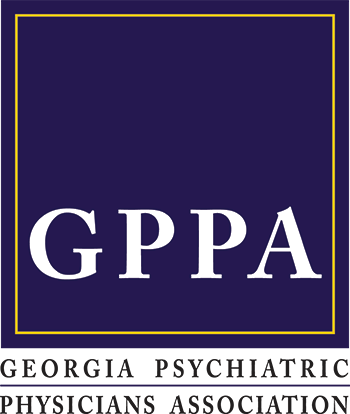 With the support of our members, GPPA works to ensure access to quality treatment for people with mental illnesses. As a practicing psychiatrist, you may join APA/GPPA as a General Member. You will enjoy a wealth of benefits that help continue your professional development and keep you informed of current issues in psychiatry and mental health in Georgia. Serving as a monitoring organization to assure that patient care is provided within the strictest guidelines as set forth by the APA.